HURRICANE — A wakeboarder at Quail Creek State Park was taken to the hospital Tuesday evening after falling off the board he was riding. 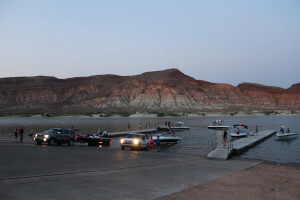 The 25-year-old’s friends reported to park law enforcement that they had seen him fall down on the wakeboard he was riding and had to pull him back into the boat they were in, said Laura Melling, Sand Hollow Complex Park Manager (who also oversees Quail Creek State Park). They then took him to the north boat ramp to meet responders. The man complained of back pain and some shoulder pain, Melling said, but they were unsure what had caused his injuries. There was nothing in the water for him to hit, she said, so he may have twisted or pulled something as he fell. Hurricane Fire and Ambulance Department’s Emergency Medical Service unit transported the injured man to Dixie Regional Medical Center in St. George, Melling said. He was conscious and alert when he left the park and his injuries did not seem to be life-threatening. 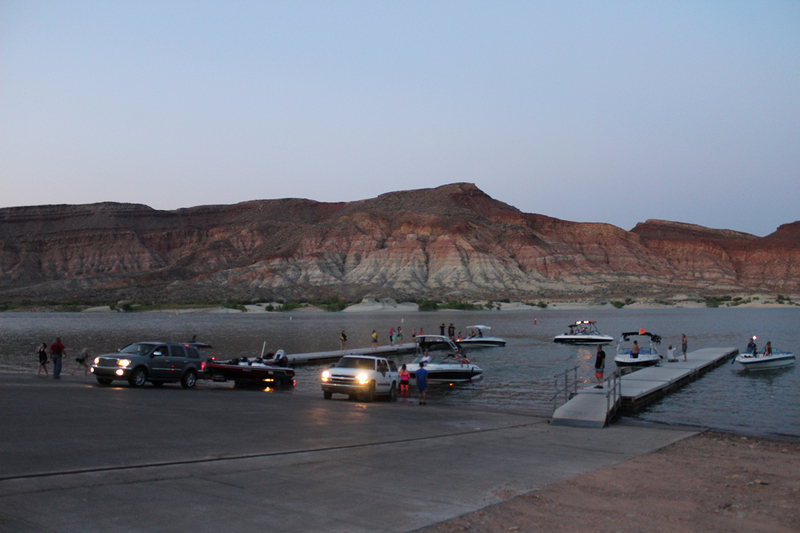 News LIVE: Drowning at Quail Creek State Park; Updated 10 p.m.
Nataly Burdick moved to Hurricane when she was 5 and has lived in Southern Utah ever since. She graduated from Southern Utah University with a bachelor’s degree in communication with a journalism emphasis in 2015. She got her start in journalism when she started copy editing for SUU’s University Journal and her editors threw her into writing stories. She has loved reporting ever since. Nataly’s favorite thing about journalism is learning about all kinds of new subjects and meeting new people. She enjoys learning new skills in her free time, especially learning how to play new instruments, though she mostly only knows how to play any of them at a beginning level. She loves to hear herself talk and has taken it upon herself to learn as many languages as she can so she can hear herself talk more exotically. She is currently fluent in Spanish and working on learning French.